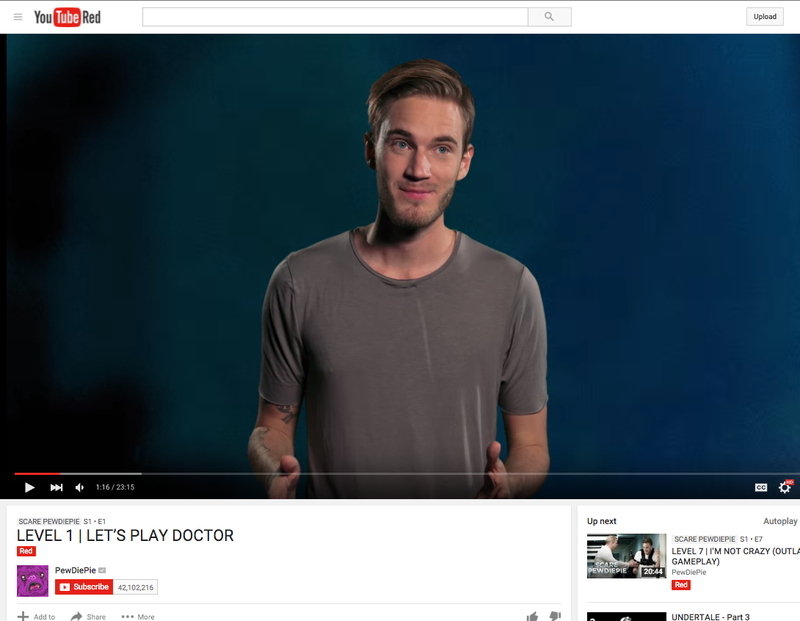 YouTube’s attempt to break into the original content game isn’t anything revolutionary. In fact, you could say that they’re late to the party Hulu, Amazon, and Netflix are throwing. And in some desperate attempt to fit in, they’ve taken view counts off of YouTube Red shows. That’s the play that Netflix has been famous for. As Wired points out, no one knows how many people watched Daredevil or Orange Is the New Black. And, ostensibly, Netflix doesn’t care. It’s really rare for any of that data to get out. They want the buzz that comes from their shows to entice people to pay. Awards and good press is more valuable, in theory, than knowing how many people who already pay them are watching. The problem for YouTube is that it’s not launching a brand new service. YouTube Red looks exactly the same as any other YouTube video, except for the tiny “Red” bar under the video title—and the missing view counter. Netflix is for sitting at home and watching whatever you want. YouTube is for watching the thing everyone is watching right this second and commenting on it. People want to see the videos that managed to crack a million views. They have a playlist for those who manage to break one billion views. So the missing view counter is weirdly alienating, if you’re a fan of the people YouTube Red has recruited. It makes some sense. View counts are an essential part of YouTube buzz. But there’s no way a video that only people who’ve paid to subscribe could beat a free video that the entire world could watch. You might say that YouTube hides the view count so the new Red shows don’t get called failures too early. In this case, it may just be that the cure is worse than the disease.